Katedra Najświętszej Panny Paryskiej. Dzwonnik z Notre-Dame. Notre-Dame de Paris 1482. The Hunchback of Notre Dame. 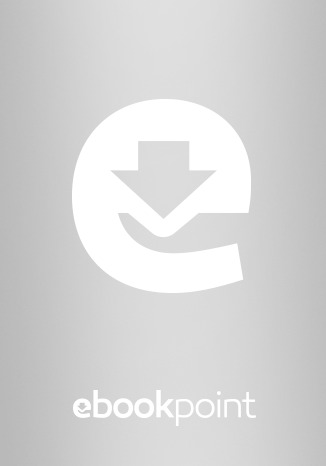 Ebook. . Ebookpoint.pl - tu się teraz czyta! "Katedra Najświętszej Marii Panny w Paryżu powieść Wiktora Hugo znana w Polsce również pod tytułem Dzwonnik z Notre-Dame, osadzona w czasach późnego średniowiecza. Według słów samego autora, jest to obraz piętnastowiecznego Paryża i całego piętnastego wieku przez pryzmat tego miasta. Osią powieści jest wątek miłosny archidiakona Klaudiusza Frollo do pięknej Cyganki Esmeraldy. Książka wydana w 1831 roku porusza nietypowe jak na tamte czasy problemy zgubnego pożądania i tolerancji. W powieści nie ma nic białego ani czarnego, są tylko odcienie szarości. Nie ma też tu jednoznacznie złej postaci, a nawet okrutne czyny Frolla można zrozumieć i budzi on współczucie, a nawet sympatię czytelnika. Książka została napisana pod wpływem odnalezienia przez autora greckiego napisu (Przeznaczenie) na ścianie Katedry Notre-Dame. 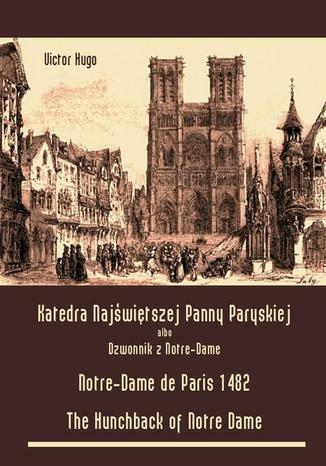 (http://pl.wikipedia.org/wiki/Katedra_Marii_Panny_w_Paryżu) Notre-Dame de Paris relve du genre du roman historique, qui est la mode au début du XIXe sicle16, de mme que la période du Moyen Âge qui suscite un intért nouveau de la part des écrivains et des potes partir des années 1820, sous l'impulsion d'auteurs comme Chateaubriand ou Madame de Staël. Le chapitre Paris vol d'oiseau , en particulier, présente une tentative de reconstitution historique du Paris de 1482. Mais Victor Hugo ne se considre pas comme tenu de respecter la vérité historique tout prix et n'hésite pas modifier le détail des faits et resserrer l'intrigue pour faire mieux ressortir le caractre de personnages historiques comme Louis XI ou pour mettre en avant sa vision de l'Histoire. En cela, il applique son roman les principes exposés dans un article propos de Walter Scott qu'il a publié en 1823, et o il affirme : j'aime mieux croire au roman qu' l'histoire, parce que je préfre la vérité morale la vérité historique . (http://fr.wikipedia.org/wiki/Notre-Dame_de_Paris_(roman) The novel's original French title, Notre-Dame de Paris (the formal title of the Cathedral) indicates that the Cathedral itself is the most significant aspect of the novel, both the main setting and the focus of the story's themes. With the notable exception of Phoebus and Esmeralda's meeting, almost every major event in the novel takes place within, atop, and around the outside of the cathedral, and also can be witnessed by a character standing within, atop, and around the outside of the cathedral. The Cathedral had fallen into disrepair at the time of writing, which Hugo wanted to point out. The book portrays the Gothic era as one of the extremes of architecture, passion, and religion. The theme of determinism (fate and destiny) is explored as well as revolution and social strife. The severe distinction of the social classes is shown by the relationships of Quasimodo and Esmeralda with higher-caste people in the book. Readers can also see a variety of modern themes emanating from the work including nuanced views on gender dynamics. For example, Phoebus objectifies Esmeralda as a sexual object. And, while Esmeralda is frequently cited as a paragon of purity this is certainly how Quasimodo sees her she is nonetheless seen to create her own objectification of the archer captain, Phoebus, that is at odds with readers' informed view of the man. (http://en.wikipedia.org/wiki/The_Hunchback_of_Notre-Dame)"
I. Z Charybdy w Scylle. IV. Niedogodności nocnego śledzenia po ulicach za ładną kobietą. II. Paryż w ptasiej perspektywie. III. Immanis pecoris custos, immanior ipse. IV. Pies i jego pan. V. Ciąg dalszy o Klaudyuszu Frollo. IV. Łza za kroplę wody. I. O niebezpieczeństwie powierzania swych tajemnic kozie. II. Co filozof, to nie ksiądz. V. Dwaj ludzie czarno ubrani. VI. Skutek, jaki sprowadzić mogą siedem siarczystych zaklęć na wolnem powietrzu. VIII. Pożytek okien od rzeki. I. Talar przemieniony w liść suchy. II. Dalszy ciąg o talarze przemienionym w liść suchy. III. Dokończenie o talarze przemienionym w liść suchy. VI. Trzy piersi męskie niejednako skrojone. V. Klucz od czerwonych podwoi. VI. Ciąg dalszy poprzedniego rozdziału. I. Przy ulicy Bernardyńskiej Gringoire jednym tchem zdobywa się na kilka trafnych myśli. II. Zaciągnij się do szałaszników. IV. Przyjaciel nie w porę. V. Zacisze, w którem Jego Miłość Ludwik francuski godzinki odprawia. II. La creatura bella bianco vestita (Dante). IV. Ślubna komnata dzwonnika katedralnego. I. From Charybdis to Scylla. II. The Place de Greve. IV. The Inconveniences of Following A Pretty Woman Through the Streets in the Evening. V. Result of the Dangers. II. A Birds-Eye View of Paris. III. ˝Immanis Pecoris Custos, Immanior Ipse˝. IV. The Dog and His Master. V. More About Claude Frollo. II. This Will Kill That. I. An Impartial Glance at the Ancient Magistracy. III. History of a Leavened Cake of Maize. IV. A Tear for a Drop of Water. V. End of the Story of the Cake. I. The Danger of Confiding One's Secret to a Goat. II. A Priest and a Philosopher are Two Different Things. V. The Two Men Clothed in Black. VI. The Effect Which Seven Oaths in the Open Air can Produce. VIII. The Utility of Windows Which Open on the River. I. The Crown Changed Into a Dry Leaf. II. Continuation of the Crown Which Was Changed into a Dry Leaf. III. End of the Crown Which Was Turned into a Dry Leaf. IV. ˝Lasciate Ogni Speranza˝ Leave All Hope Behind, Ye Who Enter Here. VI. Three Human Hearts Differently Constructed. II. Hunchbacked, One Eyed, Lame. V. The Key to the Red Door. VI. Continuation of the Key to the Red Door. I. Gringoire Has Many Good Ideas in Succession.Rue des Bernardins. V. The Retreat in which Monsieur Louis of France Says His Prayers. VI. Little Sword in Pocket. VII. Chateaupers to the Rescue. III. The Marriage of Phoebus. IV. The Marriage of Quasimodo.